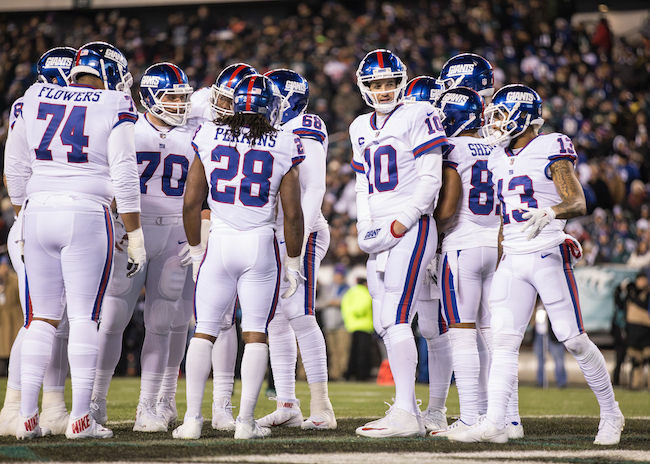 December 14, 2017 BBI New York Giants Videocast: BigBlueInteractive.com’s Mike Siegel and NJ.com’s Dan Duggan talk about the factors that have led to the New York Giants’ terrible season as well as the general manager search. Dan Duggan cover the Giants for NJ Advance Media. Mike Siegel, aka gidiefor, serves as a moderator and is a longtime contributor in The Corner Forum, originally joining BBI in 2004. Raised in Brooklyn, NY, he is a rabid Giants fan, an attorney, a family man, proud grandfather of five, and a former NYC Park Professional, Mounted Park Ranger, and instructor at the Brooklyn Botanic Gardens, who was noted for his work in Brooklyn Park rehabilitation projects, park publications, public park tours and programs, and also his paper-folding prowess. His more than fifteen-foot high Origami holiday tree in Central Park’s Dairy was a fixture in the 1980’s. He has been an active participant in BBI’s outside gatherings, and strongly believes in fostering the BBI community environment and promoting serious discussion about Giants football. 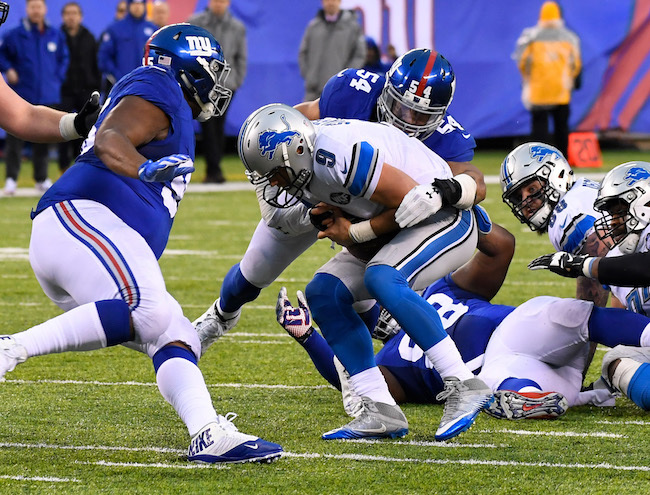 BBI New York Giants Videocast of September 7, 2017: BigBlueInteractive.com’s Sy’56 and Mike Siegel talk about the state of the New York Giants entering the 2017 regular season, and make predictions for the Giants-Cowboys match-up Sunday Night’s first game of the season. Sy’56 has worked for Ourlads Scouting LLC since 2013, starting off as a college depth chart manager and now a lead scout for one the most-sold NFL draft guides year-in, year-out. He has been scouting for over 10 years and will compile anywhere from 400-600 scouting reports per season, with that number increasing year by year. He watches and studies game films 20-25 hours per week throughout the entire year with his main focus being NFL Draft prospects. BigBlueInteractive.com (BBI) Preseason Videocast of August 24, 2017: BBI’s Mike Siegel and Sy’56 discuss the New York Giants’ performance in the second preseason game against the Cleveland Browns and the upcoming third preseason game against the New York Jets. Mike and Sy’56 analyze key issues facing the team as the Giants approach the regular season. BigBlueInteractive.com (BBI) Podcast of July 24, 2017: BBI’s Mike Siegel chats with BBI’s SY’56 and Eric Kennedy about the team’s talent at each of the defensive position groups and special teams before training camp begins later this month. SY’56 has been scouting players since 2006 and has developed his own grading system. His work has landed him a position with Ourlads.com. He spends 20-25 hours per week on scouting players throughout the year. Eric Kennedy, aka Eric from BBI, is the Editor-in-Chief of BBI. For more than 20 years he has led discussions, reported news, and written provocative and piercing analysis about New York Giants issues. Mike Siegel, aka gidiefor, has been a poster on BBI since 2004. He is an attorney and avid Giants fan, and for 17 years was an interpreter for the NYC Park System where he lectured extensively and published numerous articles and publications. BigBlueInteractive.com (BBI) Podcast of July 12, 2017: BBI’s Mike Siegel chats with BBI’s SY’56 and Eric Kennedy about the team’s talent at each of the offensive position groups before training camp begins later this month.